Closeout. 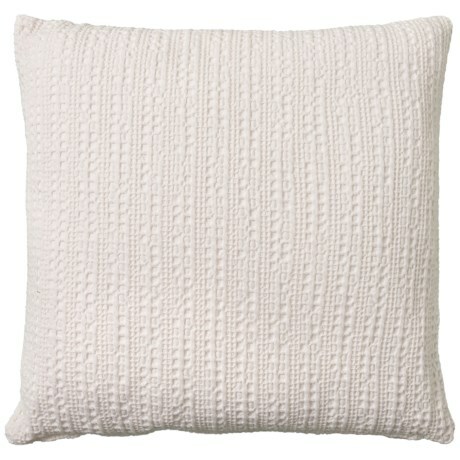 Toss this Devi Stonewash Waffled throw pillow on your bed, couch or favorite chair for a soft, charming accent. The stylish cover is made from 100% cotton with waffle texture and fluffy feather fill. Available Colors: BRIGHT WHITE.